In the latest addition to his A-Z of Theory series, political theorist Andrew Robinson introduces, in a two-part essay, the work of Mikhail Bakhtin, one of the most important theorists of discourse in the twentieth century. In part one, Robinson introduces Bakhtin's notions of Dialogism, Polyphony and Heteroglossia. 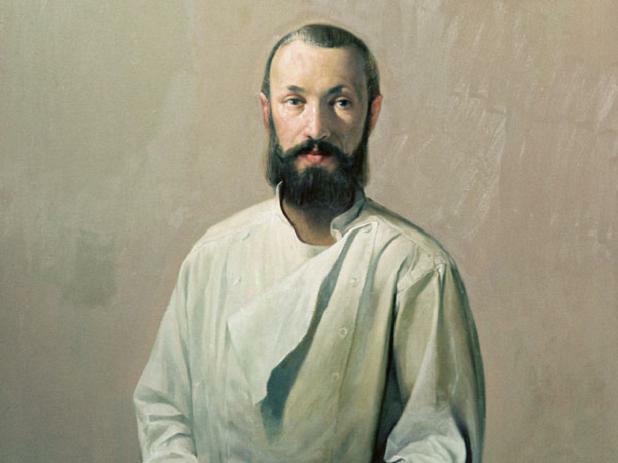 Mikhail Bakhtin was one of the most important theorists of discourse in the twentieth century. He is sometimes termed the most important Soviet thinker in the social sciences. His work also has substantial importance for issues of political resistance. Working under the shadow of Stalinism, he was certainly a controversial figure. He was refused his doctorate because of the controversial nature of his work on Rabelais, and subsequently sentenced to internal exile in Kazakhstan during Stalin’s purges. He also had a disability for much of his life, and while he does not write directly on disability issues, his concern with embodiment is apparent. Sometimes associated with Russian formalism, Bakhtin operates somewhere between a structural and constructivist approach to discourse. Bakhtin’s works also include detailed typologies of discourses, classified according to their structure and construction. According to Michael Holquist, Bakhtin is a system-builder, but not in the sense of methodological closure. Rather, his system consists of open-ended connections, and refuses to view issues in isolation. Nevertheless, he seeks to conceptualise general tendencies, in contrast to the untheorised collections often found in folklorism. His works tend to be ‘allusive’ and ‘repetitive’, irritating those who seek an economical and logical presentation. They emphasise historical, cultural and social specificity in texts and practices. Texts should not be read through a modern gaze, but through their context. He also emphasises that particular themes cannot be separated from their place in genres and structures of texts. Phenomena should be composited, theorised and understood, not simply seen as single instances. Things don’t exist ‘in themselves’, but only in their relations. As a literary analyst, Bakhtin emphasises the location of particular authors in the speech-genres they deploy, and in their spatial and temporal context. Bakhtin sees being as a ‘unique and unified event’. Being is always ‘event’ or ‘co-being’, simultaneous with other beings. In his early philosophical work, Bakhtin also insists that each person is unique and irreplaceable. This uniqueness is ‘given’ (we’re unique whether we want to be or not), but also has to be actualised by each of us through our life. Each of us makes our existence into a particular ‘task’ or ‘project’ by assigning it meaning. Each of us exists as relations between particular coordinates in time and space, differentiating and relating to other coordinates. As the site of an event, the self cannot tolerate fixity: what it “is”, is undefinable. A person also cannot be fully revealed to or known in the world, because of constant change and ‘unfinalisability’. We are always in dialogue, not only with other people, but also with everything in the world. Everything ‘addresses’ us in a certain sense. Each of us is uniquely addressed in our particular place in the world. One can see one’s exterior only through others’ perspectives. In Problems of Dostoevsky’s Poetics, Bakhtin developed the concepts which were to inform much of his work. The concept of ‘polyphony’ (borrowed from music) is central to this analysis. Polyphony literally means multiple voices. Bakhtin reads Dostoevsky’s work as containing many different voices, unmerged into a single perspective, and not subordinated to the voice of the author. Each of these voices has its own perspective, its own validity, and its own narrative weight within the novel. The author does not place his own narrative voice between the character and the reader, but rather, allows characters to shock and subvert. It is thus as if the books were written by multiple characters, not a single author’s standpoint. Instead of a single objective world, held together by the author’s voice, there is a plurality of consciousnesses, each with its own world. The reader does not see a single reality presented by the author, but rather, how reality appears to each character. The text appears as an interaction of distinct perspectives or ideologies, borne by the different characters. The characters are able to speak for themselves, even against the author – it is as if the other speaks directly through the text. The role of the author is fundamentally changed, because the author can no longer monopolise the ‘power to mean’. Dostoevsky’s ‘dialogical principle’ is counterposed to the ‘monologism’ (single-thought discourse; also termed ‘homophony’ – single-voice) characteristic of traditional writing and thought. In monologism, one transcendental perspective or consciousness integrates the entire field, and thus integrates all the signifying practices, ideologies, values and desires that are deemed significant. Anything irrelevant to this perspective is deemed superfluous or irrelevant in general. A monological world is made up of objects, integrated through a single consciousness. Since other subjects have value only in relation to the transcendent perspective, they are reduced to the status of objects. They are not recognised as ‘another consciousness’ or as having rights. Monologism is taken to close down the world it represents, by pretending to be the ultimate word. In monologism, ‘truth’, constructed abstractly and systematically from the dominant perspective, is allowed to remove the rights of consciousness. Each subject’s ability to produce autonomous meaning is denied. Qualitative difference is rendered quantitative. This performs a kind of discursive ‘death’ of the other, who, as unheard and unrecognised, is in a state of non-being. The monological word ‘gravitates towards itself and its referential object’ (This idea of a tautological closure of dominant discourse is also found in Negri, Marcuse, Baudrillard and Barthes). In a monological novel for instance, characters exist solely to transmit the author’s ideology, and the author represents only their own idea, not anyone else’s. Any differences between characters occur as if within a single consciousness. Such novels, Bakhtin claims, tend to be featureless and flat, marked by a single tone. Bakhtin is suspicious of authorial intent, as it often involves a failure to respect the autonomy of the other’s voice. Dialogism in contrast recognises the multiplicity of perspectives and voices. It is also referred to as ‘double-voiced’ or ‘multi-voiced’. It is a ‘principle’ which can become the main referent of a particular aesthetic field. Each character has their own final word, but it relates to and interacts with those of other characters. Discourse does not logically unfold (as in analytical philosophy), but rather, interacts. This makes dialogical works a lot more ‘objective’ and ‘realistic’ than their monological counterparts, since they don’t subordinate reality to the ideology of the author. A dialogical work constantly engages with and is informed by other works and voices, and seeks to alter or inform it. It draws on the history of past use and meanings associated with each word, phrase or genre. Everything is said in response to other statements and in anticipation of future statements. This style of language-use is, according to Bakhtin, typical of everyday language-use. Its use in novels accurately represents the reality of language-use. The dialogical word is always in an intense relationship with another’s word, being addressed to a listener and anticipating a response. Because it is designed to produce a response, it has a combative quality (e.g. parody or polemic). It resists closure or unambiguous expression, and fails to produce a ‘whole’. It is a consciousness lived constantly on the borders of other consciousnesses. For Bakhtin, monological language is a corruption of an underlying dialogism. All signifying practices (i.e. use of language and symbols) have an ultimately dialogical aim. Human consciousness is not a unified entity, but rather, is always conflict-ridden between different consciousnesses. Indeed, a single consciousness separate from interaction with other consciousnesses is impossible. Consciousness is always a product of responsive interactions, and cannot exist in isolation (If someone offers counter-examples of hermits or psychological difference, it should be noted that such people are still in dialogue – with their ecological surroundings, with nature, with multiple inner voices… there is no reason to assume dialogism stops at the limits of the inter-human). Nevertheless, language-use can maximise this dialogical nature or seek to minimise or restrict it. Dialogism is not simply different perspectives on the same world. It involves the distribution of utterly incompatible elements within different perspectives of equal value. Bakhtin criticises the view that disagreement means at least one of the people must be wrong. Because many standpoints exist, truth requires many incommensurable voices. Hence, it involves a world which is fundamentally irreducible to unity. It denies the possibility of transcendence of difference (as in Hegel; this is a major difference between dialogics and dialectics). Separateness and simultaneity are permanently with us. There is no single meaning to be found in the world, but a vast multitude of contesting meanings. Truth is established by addressivity, engagement and commitment in a particular context. In a fully dialogical world-view, the structure of the text should itself be subordinate to the right of all characters to be treated as subjects rather than objects. A novel in this tradition is constructed as a great dialogue among unmerged souls or perspectives. Ideas are not presented in abstraction, but are concretely embodied in the lives of protagonists. A dialogical text presents relations as dialogical rather than mechanical or object-like, and avoids authorial finality. Artistic finalisation is deemed suspect, though also necessary to some minimal degree. This literary analysis has implications for social analysis. For Bakhtinians, the social world is also made up of multiple voices, perspectives, and subjective ‘worlds’. To exist is to engage in dialogue, and dialogue must not come to an end. Dialogues does not occur between fixed positions or subjects. People are also transformed through dialogue, fusing with parts of the other’s discourse. The other’s response can change everything in one’s own consciousness or perspective. Dialogue can produce a decisive reply which produces actual changes. Bakhtin views humanity as fundamentally indeterminate and unfinalizable. People constantly struggle against external definitions of their thoughts and actions, which have a deadening effect on them. There is something within each concrete person which can only be actualised through a free discursive act, and not in a pre-defined context. For Bakhtin, dialogism characterises the entire social world. Authentic human life is an open-ended dialogue. The world thus merges into an open-ended, multi-voiced, dialogical whole. Its separation (as in Marxist alienation) or splitting (as in Lacanian master-signification) is overcome through awareness of its dialogical character – in effect, as one big borderland. This is a world of many worlds, all equally capable of expressing themselves and conceptualising their objects. Bakhtin emphasises that it is not enough to simply understand the other’s perspective. Only if it is made other than itself by being seen from outside can it produce something new or enriching. Monologism is similar to the master-signifier in Lacanian thought, and arborescence in Deleuze. In politics, we might think of capitalism as monologism: only what is profitable is deemed significant. As Guattari observes, if we laugh or cry, if we fear old age or death, if we are ‘mad’, does not matter to capitalism – it is ‘noise’, in the information-theory sense. Even at a limit-case such as starvation, human need is irrelevant – a poor person may have a vital need for food, but they do not have effective market demand. Or we might think of the state’s perspective as monological. If the state is concerned with border security, it takes this concern as sufficient grounds to put up fences, walls and checkpoints. The fact that these fences might intersect ancient tribal territories which are meaningful to those who live there is deemed superfluous. In many ways, the police are the epitome of monologism. Police power is constructed around the assertion of a non-debatable demand, sometimes analysed as a fundamental refusal of dialogue and creativity. We can also think about dialogism in everyday terms – whether people listen to their partners or housemates, whether parents respond to the needs of their children, whether opposing views are able to get a hearing in meetings, whether political views are treated as self-enclosed ‘opinions’ to which one is ‘entitled’ or can rather be rebutted by a decisive reply. From the often arbitrary moderation of web forums to informal hierarchies in activism, there seems to be a plague of monologisms in the modern world, often reinforced by mutually exclusive categories and roles, conventional expectations of authority, and an emphasis on efficiency and ‘getting things done’. In The Dialogical Imagination, Bakhtin extends his analysis of dialogism through the concept of heteroglossia. This analysis emphasises the combination of existing statements or speech-genres to construct a text. Each novel is constructed from a diversity of styles and voices, assembled into a structured artistic system which arranges difference in a particular way. This is a challenge to the idea of linguistic creativity as an original and individual use of language. Even within a single perspective, there are always multiple voices and perspectives, because the language which is used has been borrowed from others. Bakhtin argues that this is not simply creativity by the author. He is highly critical of such an emphasis on the author, which he sees as expressing a monological view of the novel. Rather, the author performs a particular syncretic expression of social heteroglossia. The originality is in the combination, not the elements. The social and historical world is also characterised by heteroglossia and discursive struggle. On a social scale, Bakhtin criticises those (such as Saussure) who view language as a closed system. He sees such views as complicit in the creation of a unified language as a vehicle of centralised power. Most often, the ‘standard’ language (such as standard English) is taken from the speech of the elite. Such an elevation of a particular hegemonic language suppresses the heteroglossia of multiple everyday speech-types. Everyday speech is commanded to conform to official style so as to be recognised as part of a privileged, closed-off speech-community. Where this type of ‘monoglossical’ language-use predominates, people display ‘magical’ or ‘mythological’ consciousness. In this consciousness, as in Marcuse’s idea of one-dimensional thought, words and their meanings have a close, stable relationship. The free development of dialogue is seriously impeded. The language becomes closed or ‘deaf’ to voices of difference. This closure of language is associated with nationalism. Bakhtin sees such centralising tendencies as counterposed to centrifugal processes which diversify language. In particular, ‘folk’ and ‘festive’ languages such as carnivalesque challenge official closure. The history of language is a constant struggle between the two tendencies, which are also forces for stasis and change respectively. This is reminiscent of Kropotkin’s social and political principles, Castoriadis’ instituting and instituted imaginaries, and Negri’s constitutive and constituted power. Bakhtin did not think monoglossical dominance could last for long. It is doomed to be ruptured by a return of heteroglossia, as the dominant discourse is interrupted by other voices. Heteroglossia is basic, whereas monoglossia is an alienated form of it. Because language always ultimately orients to the other, it is primordially dialogical. There is ultimately no unified literary medium, but rather, a plenitude of local social languages. In a situation of heteroglossia, the dominant perspective, or one’s own perspective, is itself defamiliarised. This happens because it is made visible from the perspectives of others, as well as one’s own. It ruptures the mythological relationship to language, showing the gap between words and their meanings. Bakhtin’s view goes against the view that language is simply a means to communicate information. According to Bakhtin, language cannot relate directly to an external world. Rather, a social field of interacting ways of seeing always mediates the relationship between each speaker and the world. Any particular way of seeing illuminates some aspects of an object and obscures others. The idea of language as simply descriptive turns it into a ‘dead, thing-like shell’. Any language-use is mediated by social ways of seeing. Furthermore, these social ways of seeing are always contested, in dialogue, and changing. Speech is always directed towards or through a field of ‘alien words’ and alien value-judgements. An active and engaged understanding of others’ discourse incorporates the other’s perspective into one’s own frame, giving it new inflections and nuances. It is this possibility of learning from and incorporating the other’s discourse that makes dialogue, and newness in language, possible. Speakers try to aid this process by making their own statements resonate with the listener’s frame. Dialogue thus orients to the perspective of the other, seeking to introduce new elements into it. It is carried out ‘on alien territory’. One undergoes ‘becoming’ or maturation by selectively assimilating others’ perspectives. One can situate oneself socially by relating one’s own perspective to those of others. This process should occur as a process of self-actualisation. It is the peculiar standpoint of ‘outsideness’ which makes something new of the other’s perspective by merging it with one’s own. There is a difficulty, however. The alien word of the other can be either ‘authoritative’ or ‘internally persuasive’. Whereas the latter is coextensive with self-actualisation and dialogue, the former projects itself into the self in a reified way, as an object. Authoritative discourse cannot be represented as the words of a hero in dialogue with an author in a novel. A novel can become a site of heteroglossia because it can represent multiple speech-genres. It can thus represent the debates of a time-period, and bring perspectives into fuller understanding of each other. A dialogical novel reveals and relativises linguistic borders, making discourse travel across them. Poetry, in contrast, is viewed with suspicion. For Bakhtin, a mature subject should learn to reject authoritative discourse and adopt only those parts of others’ perspectives which fit with her or his values and experiences. Such a subject would have an active, independent and responsible discourse, respecting the alien word in its autonomy. This kind of approach echoes today’s debates around languages. Debates around ‘language-death’ show divisions between views of language as expressive – carrying a way of seeing – or as instrumental – primarily a means to communicate efficiently. The latter view is typical of capitalism, and of massified societies, whereas the former is concerned at the decline of local languages which relate densely to particular settings. On a different note, Bhabha views the impact of migrants on language and identity as performing a similar process to that theorised by Bakhtin. Heteroglossia causes long-term linguistic and aesthetic changes. Bakhtin attaches enormous social power to literature, suggesting that entire world-views are shaped by changes between monological and dialogical types of literature. Epics and poetry create fatalistic and closed worlds, whereas novels create open worlds. This approach, as advanced across several works, involves a change in the social role of linguistics. Bakhtin believes linguistics is limited because it reveals only the form of language and not its concrete use. He calls for an alternative ‘meta’ or ‘translinguistics’ which studies dialogical interaction and discourse. This leads to a shift away from languages as systems, towards social uses of language. Language is only unitary in the abstract. In its social use, it operates as an irreducible plurality of belief-systems. Much of language-use is also intertextual, referring back to others’ statements and views. Bakhtin sees language as an ongoing, unending chain of meaning which is constantly renewed and reborn through each link in the chain. Languages and cultures are always unfinished. Similarly, nothing is ever absolutely dead, since it is connected to everything else by the chain of meanings. One aspect of this analysis is the idea of speech-genres. According to Bakhtin, in addition to the forms of language, there are standard ways in which language is combined. Particular choices within a national language constitute particular speech-genres. Each sphere of language-use tends to have stable types of utterances. This view, in which the relationship between an entire language and an individual speech-act is mediated by speech-genres, contrasts with the freedom usually attributed to speakers. Speech-genres include such zones of language as journalistic styles, regional dialects and ideological systems. Each genre embeds in its language particular social values, world-views and intentionalities, as well as space-time references (chronotopes). An example of a speech genre would be tabloid discourse. Things have to be said in a certain way in tabloid discourse, referring to familiar figures, using humour and outrage in particular ways, and using a restricted vocabulary for example. The ‘rules’ of tabloid discourse are more precise and limiting than the ‘rules’ of English language in general. We might similarly ask whether there are activist speech-genres. For instance, attempts to construct systems of nonviolent communication or non-oppressive language attempt to build speech-genres which fit with transformative goals. In practice, activists often recognise each other through characteristic subcultures with socially meaningful forms of symbolism. Other kinds of activists achieve familiarity through use or imitation of working-class speech-genres. The differences in speech-genres can impede communication across different groups of activists, or between activists and non-activists. When discussing such issues, it is important to remember that there is no ‘natural’ or unproblematic speech-genre, and no speech without a genre. We need to be reflexive about the speech-genres we use, and dialogical about their connections with other speech-genres, to avoid the emergence of new monologisms. Bakhtin treats speech-genres as the site of the intersection between language and history. Different speech-genres give expression to contradictions between past and present, between different social and ideological forces and so on. The interaction of speech-genres constantly produces new speech-genres. New relations produce new forms of speech, or give new meanings to old forms. It is also at the site of speech-genres that language becomes meaningful and useful for particular subjects. Each speech-genre has its own ‘chronotope’. A chronotope is a set of reference-points in place and time which constitute the particularity of a way of speaking. It refers to ‘the intrinsic connectedness of temporal and spatial relationships’. Each author or speaker makes use of organising categories of her or his space and time, which are apparent even in fictional works. Scholars such as Keith Basso have applied this idea to the mnemonic function of place in indigenous cosmologies. Bakhtin uses this theory in his analyses of history. The emergence of dialogism at particular points produces cultural revolutions. Modernity, as an experience of contingency, arose because the hegemony of medieval Latin was replaced by an interplay of languages: classical Latin, medieval Latin and everyday or ‘marketplace’ speech. From this point onwards, elite and popular genres came into constant contact and influenced one another. The cultural revolution was fundamentally premised on carnivalesque (see below). Popular culture became a vital source of inspiration for Renaissance writers such as Rabelais, Cervantes and Shakespeare, and artists such as Bosch and Breughel, as a means to escape the closure of medieval thought. For Bakhtin, this was made possible by the collapse of the feudal order and the emergence of new spatial and temporal ways of seeing. Bakhtin’s reading of Rabelais emphasises his reliance on folk-cultural references. These references are used both to combat medieval ideas, and to relativise the progressiveness and truth of present and near-future progressive ideas. However, Bakhtin sees this brief revolutionary moment succumbing to a new authoritarianism and seriousness after the sixteenth century, through absolute monarchy, rationalism and neo-classicism. He also thinks the holism of carnival was individualised in Romanticism. Gradually, ‘bourgeois’ ideas of individualism and order came to predominate, reproducing the closure of feudalism. Bakhtin suggests, however, that the references of carnivalesque retain some of their former energy, just waiting for an opportunity to re-emerge. Dialogism involves a particular ethic which can be applied politically and in everyday life. On the one hand, it is a refusal of closure: it opposes the fixation on any particular monologue. On the other hand, it also refuses dominant liberal forms of coexistence and tolerance. Bakhtin’s vision is not one of an empty juxtaposition of opinions, or a flattening-out of discourse so that all perspectives are equivalent. Different perspectives are not partial, complementary truths. Rather, the dynamic interplay and interruption of perspectives is taken to produce new realities and new ways of seeing. It is incommensurability which gives dialogue its power. This is a particular kind of discourse of fundamental rights, taken outside a liberal frame. A Bakhtinian dialogical right, like Foucauldian rights, is a right to a process, to self-activity in the formation of one’s perspective – not a question of an outcome, or a formal right in a particular system. It is recognised only when all subjects are able to speak and act autonomously. This position will be denied by those who insist that an objective reality can be specified, separately from perspectives (for example, positivists and orthodox Marxists). It will also be denied by those who believe scarcity is ineliminable, and relations among perspectives are necessarily mediated by power (for instance, International Relations Realists and Lacanians/Laclauians). For Lacanians, the fact of dialogism is fundamentally traumatic, and the monologic gesture of imposing a master-signifier becomes a means to produce a minimum of social order and self-identity. A Bakhtinian utopia would be a space of abundance of dialogue, of coexistence of differences, of the absence of any overarching regulation of the free self-actualisation of different perspectives. It would be something like a permanent carnival. Objections to this vision (‘but who’d get the work done?’, ‘what if everyone started killing each other?’, ‘how would you stop invasions?’) generally refer back implicitly to a monological standpoint: there is taken to be some overarching extra-perspectival necessity to which dialogue must be subordinate (in these cases: production, order, power). Such objections must be rejected by referring back to the issue of dialogism: who decides that this particular good is so important as to render others’ needs unimportant? Still, from within dialogism, it seems that such conflicts do not go away. The valuing of dialogue would have to be immanent to the space, something recognised from each perspective. A dialogical world would also need means to ‘convert’ those who continue to believe in monologism, or to include them in the dialogue without dominating it. Some of the means towards such a world can be found in theories of conflict transformation. While such difficulties affect dialogical activist and pedagogical spaces, the main difficulty today is rather different: resisting the overarching imposition of monologism. In a society such as Britain, the extent to which everyday polyphony has been silenced by a self-referential dominant discourse is unprecedented. People may try to negotiate with the system, but it flatly refuses such negotiation, relying increasingly on gestures of decisionist sovereignty and arbitrary command. The emphasis on non-negotiable demands and compliance enforcement in policing, the emphasis on fixed boundaries and ‘consequences’ in parental and classroom management, the corrosion of union negotiation in the workplace, and the closure of public space to protest and dissent are symptoms of this stance. It seems that the only way to create spaces for dialogue today is through radical gestures of dissensus or interruption of the monologue, usually as insurrectionary acts. But the space for such acts is itself ‘cramped’ by the techniques of preemptive counterinsurgency. The rediscovery of dialogue is now conditioned on overcoming the imposition and enforcement of a social setting of monologue. Dialogism is associated politically with initiatives such as the World Social Forum. The Spanish and Greek square occupations can also be deemed a recent instance of a dialogical experiment. The breakdown of the exclusivity of groups is one of the notable aspects of accounts of the occupations. The use of consensus decision-making is sometimes taken to produce a dialogical effect in which other voices are included. However, critics will sometimes argue that such experiments are not truly dialogical, since they exclude certain practices, or are hegemonised by particular voices. For such critics, dialogism can be actualised only as autonomous action of particular subjects, driven by their own desires. In education, dialogism overlaps with the concerns of popular education with deconstructing the power of the teacher as ‘knower’, instead creating a multi-voiced education. Freire for instance refers to the need to learn to ‘speak one’s own word’. Dialogism also arises in initiatives such as OSDE and TOE. One should also bear in mind traditions in sociology which emphasise the importance of meaning-construction. The field of Bakhtin studies is full of controversies. Bakhtin scholarship includes a controversy on whether Bakhtin was a Marxist, or was simply dressing-up his work in Marxist categories to avoid censorship. There are also debates around the authorship of other works attributed to Bakhtin’s colleagues, with Bakhtin sometimes taken to be the real author of Voloshinov’s work on Marxist linguistics. I would argue that the emphasis on the interconnection of self-actualisation with social life is close to certain views of the early Marx. So, too, is the critique of the monologism and artificial separation of subjects within capitalism. Bakhtin specifically deploys Marxist ideas of reification, alienation and abstraction in his critique of monologism, which he portrays much as Marx portrayed idealism: as a dominance of a single ethical world-view over a much more complex reality, to the exclusion of living historical forces. However, Marx continues to believe in an ultimate human essence which operates as a monological ‘trunk’ in his theory – defined, for instance, by the centrality of production. To take a concrete example, the ‘refusal of work’ would for Bakhtin be a dialogical response to capitalism, whereas for Marx, it would be a refusal of one’s essential being (though autonomists would dispute my reading of Marx here). In sociological terms, Bakhtin is closer to interactionist and poststructuralist approaches based on meaning and discourse than to Marxist approaches with their usual emphasis on economics. This said, he resonates strongly with certain neo-Marxists such as Gramsci. Certain aspects of his approach are unprecedented in either tradition, notably the emphasis on border-zones, dialogue and even struggle. Interactionists and poststructuralists tend to emphasise the self-production of meaning by each agent, whereas Bakhtin emphasises the self-altering, or even self-destroying, effects of contact with the other. On another matter, Bakhtin perhaps exaggerates the influence of artistic genres on the social impact of literature and other arts. It is important to bear in mind the role of reader-response in constructing the text as it is received. A particular approach to reading can bring a closed text into dialogue, or render an open text closed. This is shown by research on cultural effects. While Bakhtin is alert to the role of context in the speech-genre of the text, it is also necessary to recognise that the ‘answerability’ of the text is dependent on how it is interpreted by the audience. Hiya 🙂 I’ve a feeling your comment hasn’t displayed correctly. What’s up? Looking forward to part II too! Thanks for a really clear, well-rounded summary. I’m to have my students read it for class. Superb. Thanks accessible and succinct overview of Bakhtin’s main theoretical elements; my students will appreciate it. Dear Andrew Robinson, I’m quite in your article on Bakhtin. It may interest you to know that for the past two years I have been conducting a research dealing with the current issue of interest in Bakhtin’s terms at the Ahmadu Bello University, Zaria, Nigeria. Could I get more information on Bakhtin through you? I have been reading about Carnival recently, and have a question. I have found nothing like this in my reading. Can anyone suggest somethng, or an example, or which book might deal with this? what’s different between dialogism and intertextuality. Apologies for delayed responses, everyone. Dr Nwaisu, I tried to find your contact details and it appears you’ve now completed your thesis, so I might be too late! If you’d still like to get in touch, please let me know where I can contact you. Tom, I think that what this is referring to is a transition from a separative state of consciousness (where things exist as discrete categories) to a continuum state of consciousness (where things are a single continuous field). You’re most likely to experience continuum consciousness when meditating, during a psychotic episode, or from using certain drugs. There are similar concepts in many authors – Heshusius calls it participatory consciousness, Deleuze calls it the body without organs, Bergson calls it the field of time (as opposed to space), it is present in Taoism and Buddhism, Spinoza, Christian mystics, etc. I think Bakhtin sees this kind of continuum consciousness in carnival – things are outside their allotted categories and roles, and so everything is timeless and anything is possible. For example, grotesque figures often have attributes of several categories which are usually treated as distinct – human-animal hybrids, intersex beings, creatures with limbs or organs in the wrong place. Carnivals might feature walking dead, like the Mexican Day of the Dead. A King might be a fool, a peasant might be a King, the nobles bow to the commoners and so on. This is all part of the continuum where things can’t be distinguished into different categories. Aboubaker, I don’t know the origins of the concept of intertextuality very well, and some web sources suggest it was influenced by Bakhtin. But when I’ve seen the two concepts used in discussions, intertextuality is often used to refer to the presence of one text in another, especially when this presence is deliberate. For example, if Buffy the Vampire Slayer refers to her friends as the “Scooby Gang”, this is intertextuality. The text of one show (Scooby Doo) is present in another (Buffy). I’m not sure if this is the original use of the term, but it’s often how I’ve seen it used. On the other hand, dialogism refers to the internal division of a text into different perspectives and voices. For example, if an author tells a story from several different points of view, this is dialogism. Lowkey’s “Relatives” is a dialogical song, because there’s two distinct first-person points of view, and they’re compared and brought into contact. So a text can be intertextual without being dialogical, or dialogical without being intertextual, or neither or both (although there’s a sense in which all texts are intertextual, because they’re re-using words and themes which have been used before). Taking the Red Dwarf episode ‘Camille’ (apologies for picking on texts I happen to know! ), the episode is dialogical in the way it handles different characters seeing/hearing the title character differently (she’s a droid to Kryten, a hologram to Rimmer, etc), and intertextual in the ways it parodies, quotes from, and directly talks about Casablanca. On the other hand, when Bush said “Wanted: Dead or Alive” about bin Laden, he was engaged in intertextuality (he’s referring to westerns), but not dialogism. The statement was monological. So dialogism is an internal thing, within a text, whereas intertexuality is about how the text relates to other texts. Dialogism also has the wider, social meaning discussed in the article. Thank you for such a clear introduction to Bakhtin’s often confusing yet awesome work. I am currently exploring Bakhtin in order to gain greater understanding of Hermans’ Dialogical Self theory, for mainly anthropological/philosophical purposes (PhD project at Radboud University Nijmegen, Netherlands). In this vain, I am also exploring the difficulties of power/subjectivity/self/agency across the human sciences, especially the Foucaultian notion that power always comes before the subject, popular with contemporary anthropologists. I am seriously struggling with this idea, and in my reading of Bakhtin, he disagrees. How and where could I explore this further? What would your reading be? Secondly, you note (if I understand you correctly) that according to Bakhtin the self has no fixed centre, it is unique but there is no ‘sameness’ because it cannot tolerate fixity. This is very much against more contemporary notions (e.g. Ricoeur) which make a clear distinction between selfhood and sameness (most distinctly in Oneself as Another). What would Bakhtin have thought of this? Do you know of any dialogue initiated by other scholars between the two? I am just now starting to discover Bakhtin in my journey into the world of dialogue, and this article was an extremely useful introduction. I will read part II tomorrow, and continue to explore Bakhtin. So, thank you! And, I love your questions, Maria Vliek, and look forward to Andrew’s response. a big thank u for making me understand the bakhtinian theory on the need to establish dialogue in literature to understand the significance of democratic values. Thank you for this wonderful article. I am an Indian and I see a lot of similarity between Indian philosophy and Bakhtin’s polyphony. I am using Bakhtin’s dialogic approach in my PhD research on poetic texts in the Bible. How relevant is Bakhtin’s dialogism to study poetry? Bakhtin’s theory is very much based on novels not poems. Can we still apply his dialogism or any to biblical poetic texts? Thanks in advance. Your article satisfies part of my research work on intertextuality which is the basis of my PhD thesis.Thanks for the good job. Becoming: the post-Deleuzian discourse of the good teacher – What Future for Education? Thank you for giving a priceless introduction about Bakhtin, but I have one inquiry about Bakhtin and his theory about Heteroglossia when you said ” For Bakhtin, a mature subject should learn to reject authoritative discourse and adopt only those parts of others’ perspectives which fit with her or his values and experiences. Such a subject would have an active, independent and responsible discourse, respecting the alien word in its autonomy”, what do you mean by ” authoritative discourse “?